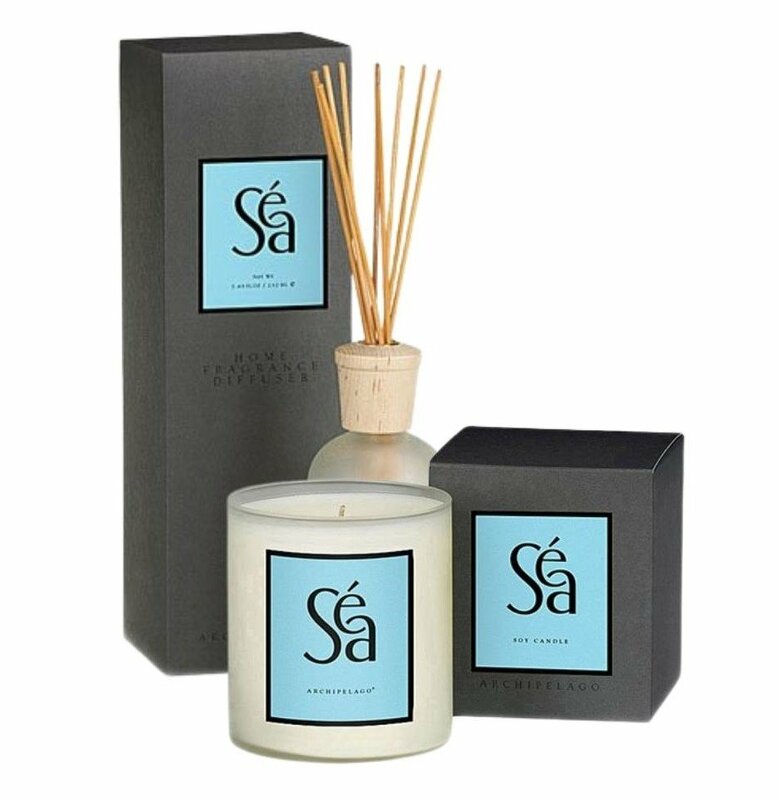 Archipelago AB Home Sea Diffusers and Candles | P.C. Fallon Co. Relax and imagine a spa retreat by the sea. Gauzy white curtains stirred by a soft ocean breeze frame a view of the blue sky beyond your cabana. Let the clean soothing fragrance of Archipelago AB Home Sea take you there. Key fragrance notes are Sea Greens, Ylang Ylang and Cedar. Archipelago Botanicals is sought after by celebrities and others for its wonderfully appealing soy wax blend candles and reed diffusers, all made in USA.